One can’t just simply ignore the opulent appeal of Microsoft PowerPoint. When we talk about top-notch presentations, we can’t just simply attain the best without making use of PowerPoint. SlideModel.com is breaking the stereotypes by providing a state of the art collection of professional presentation templates to users. You can leverage SlideModel’s potential for the purpose of making ravishing Google Slide & PowerPoint presentations. The appeal of templates are unmatched, they can surely make viewers go gaga over their beauty. SlideModel is powered by a pool of presentation designers encompassing the best in their domain. If you’re looking forward to templates that provide you with absolute customization ability, SlideModel.com can be your out of the box pick. Creativity & Novelty goes hand in hand amidst the professional range of templates of the company. Not only just big-shots but individuals, as well as bloggers, can benefit the design and specs of easy to deploy SlideModel templates. Equipped with out of the box designs and presentation templates, one can literally get access to 100% optimization blended with customization factor. SlideModel’s templates are fully compatible with many different presentation tools such as Keynote, OpenOffice, PowerPoint and even Google Slides. The cumbersome aspect to re-invent every time you wanted an awesome presentation is long gone. With SlideModel.com, you don’t require to start from scratch. You can explore an array of appealing templates, diagrams, figures, business model infographics and even splendid icons. If implemented right, you can get your dream PowerPoint presentation within minutes. Thus, SlideModel.com can pretty set your PowerPoint related endeavors on their zenith. Always remember that you can add your personal touch & style for the purpose of inculcating your business’s identity by leveraging customization which SlideModel provides. The users can browse the never-ending catalog of vivid and exuberant presentation designs and can finish their slides in a matter of few minutes. The catalog featured encompass various diversified business diagrams, backgrounds, icon sets and infographics as well. Make your presentations more lucid by inculcating clipart through SlideModel. Although the website might feature a subscription-oriented service, what comes as a great news is that, a user can use those awesome templates offline as well. 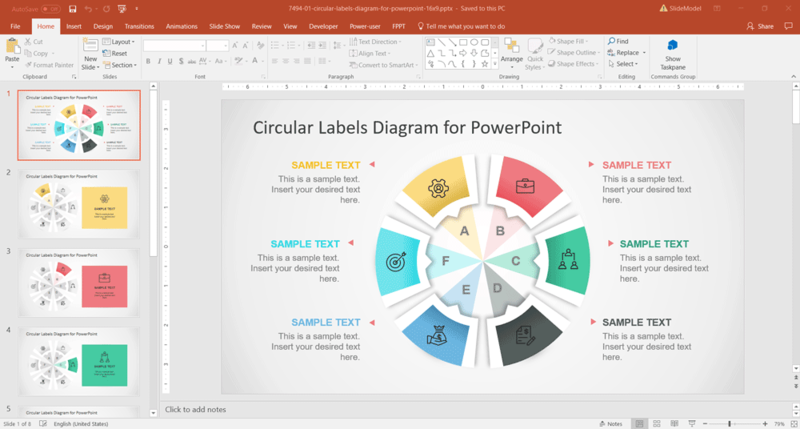 Get access to most discreet of built-in-shapes for your PowerPoint presentations through SlideModel. With an editable appeal, the most complex of the shapes can be edited as per the needs of the user. Manipulate graphics so that they match your business presentation’s goal. The presentation designer can easily resize any object without compromising the image quality, rotate objects or change the shape properties such as colors or special effects. Matching your corporate identity is of utmost importance, you don’t need to stress-upon deeply, SlideModel comes handy for the same. Use the gaudy PowerPoint themes as well as graphics and create most appealing of presentations from scratch. Text placeholders are also available which adds grandeur to the overall appeal of the template. Unlock the path to complex roadmaps, most sorted after business plan templates and even agenda slides & impress your viewers. SlideModel.com acts like as a catalyst when it comes to targeting a specific array of the audience to influence. The templates can be customized in such a way that your product’s or idea’s appeal gets publicised & that too in an unmatched way. By using the only handful of SlideModel’s slides, you can influence your audience to a greater extent. Thus, we can say infographics, data-driven charts & dashboard designs are of utmost importance and SlideModel can give those to you. Although there is always an option to skip the premium and avail free resources like SlideHunter and others, it’s highly advisable to go with a pro service with a top-notch customer support. SlideModel knows what it takes to deliver the best and professional range of business template solutions. Ever faced the common problem of including maps in your blogs? Well, what comes as a splendid fact is that, by making use of this presentation template provider, designers can not just only include maps in their presentations, but they can also edit those as per their requirement. Customize the same with your website or blog’s appeal, you can also export it in a form of an image. If you aim to project valuable information, maps can be your out of the box pick. This is great for making cover images or diagrams to be displayed in a blog post. SlideModel.com is offering the best in class customer support and hundreds of users are satisfied with the constant support. 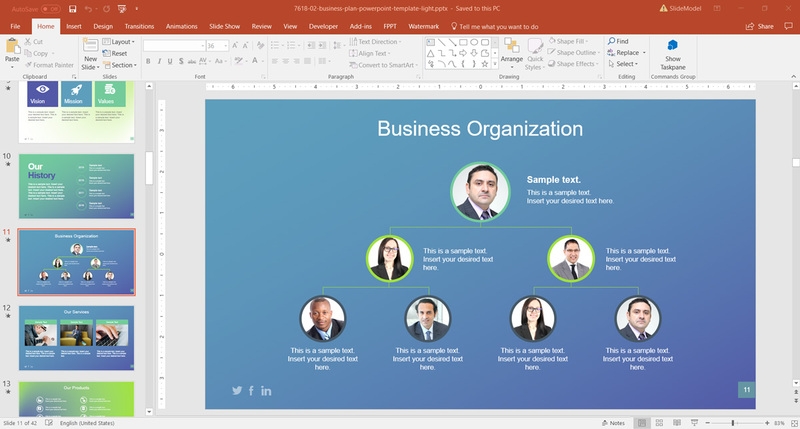 Making use of thousands of designs, people have made great PowerPoint presentations that are fully compatible with almost every version of Microsoft Office like 2016 as well as 2013. From students to professors, as well as entrepreneurs or business people, anyone can start leveraging the lush PowerPoint templates of SlideModel.com for the purpose of making a mind-moving presentation. Boost your business goals, showcase your vision, garner confidence of your viewers with added easily when you make use of SlideModel presentation templates. Get everlasting professional insights for your PowerPoint presentation with SlideModel.